This is your year . . . The 2019 Edited Year Planners are here! from pretty exhausted to perfectly edited! At the end of every year, it's extremely tempting to collapse onto the couch, stuff yourself with holiday cookies, and forget about your goals until sometime next spring. You may not have achieved everything you wanted in 2018, and it might feel like the new year is doomed before it's even started. Maybe you're still at that soul-sucking job that kills your spirit a little more every day. Maybe you didn't get in shape like you promised you would last new year's eve. Maybe you're battling debt that keeps growing no matter how hard you pinch your pennies. Maybe you spend all your time following other smart women who started their own businesses . . . but yours is still just a dream. You're NOT a slacker, and I know deep down you really want to live your best life even when it feels exhausting. You don't need another year full of broken promises. What you need is an edited year! "2019 was the year I finally did it!" and help you become the best version of yourself. Supercharge Your Productivity With the 2019 Edited Year Planners! 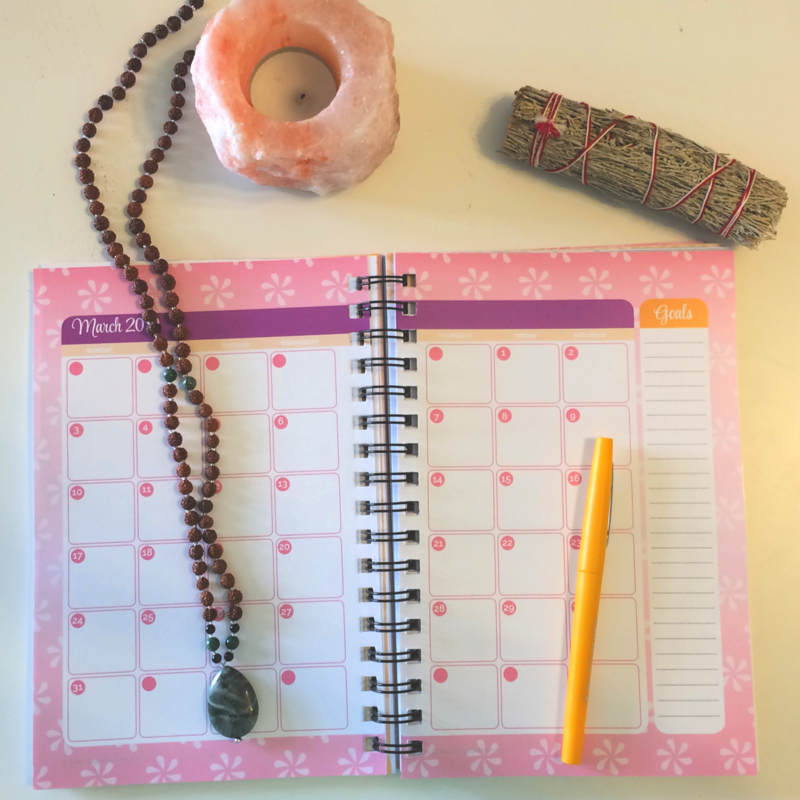 The 2019 Edited Year Planners are your secret weapons for staying on target with your goals, appointments, projects, and to-dos in a fun and systematic way. 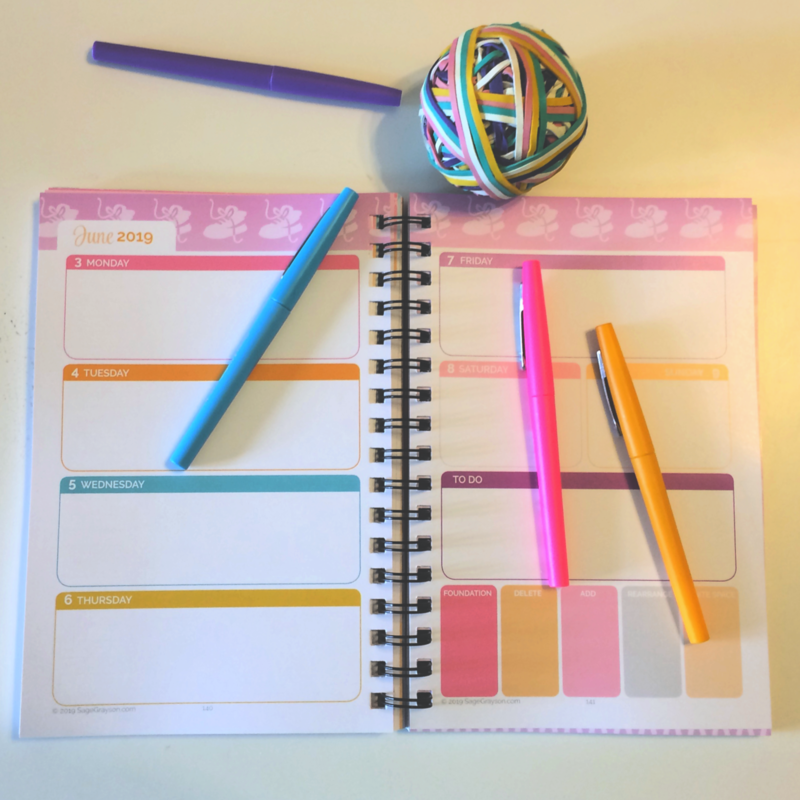 These jam-packed annual organizers use my 5-step Life Editing Process to help ambitious Type A women (or those who wish they were!) get clear about what they truly desire and break down their goals into simple action steps so that they make noticeable progress every single day while avoiding the dreaded burnout. You'll develop your gratitude practice, remove things that don't serve you, attract what you want most, manage your time, and honor your personal happiness. It's life editing made easy. Does this sound like you? Be honest! An edited year has more of the yummy good stuff that makes you happy and less of the icky bad stuff that drags you down. Now who wouldn't want that? As you clean up your life with some easy exercises, your productivity level will soar to new heights, and you'll finally have time to do all those things you've been saving for “someday.” You can do it! Hey there! 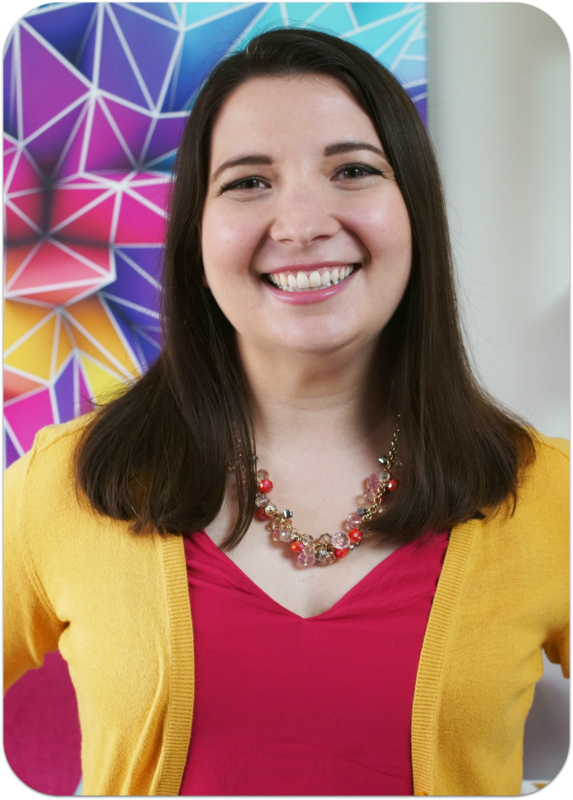 I'm Sage Grayson, and I help ambitious career women edit their habits, routines, and mindsets to balance their happiness at work and home. I'm a Life Editor...and so are you! I was in the publishing world for 10 years as a book editor before I transitioned to life coaching. I noticed that I was using the same techniques with my coaching clients as I did back when I was editing books. Now I use my analytical, systematic approach to edit women's lives with my Life Editing Process framework. It's awesome for Type A personalities like me who want to delete bad influences, add good habits and routines, and rearrange our lives into a perfect flow. All year long, you'll get nice and cozy with the Life Editing Process. It's your framework for deleting what doesn't serve you, adding in what's been missing, and rearranging everything to make the most of your limited time. An Intense Goal Planning System to help you determine what you want to achieve in your life and how to create a step-by-step action plan. A Full-Year Calendar with weekly pages for your to-do list, appointments, goals, and life editing work. A Gorgeously PRINTED Book so that you can take your planner on the go and write your goals on glossy professional-grade paper. A High-Quality DIGITAL File so that you can easily print the planner to a size that works for you or to accompany your favorite planning system. Available to Silver Level members of the Life Editor Clubhouse. 260 Pages of Life Editing Power! Life Editors who love planners and are obsessed with setting and achieving their goals. Dedicated women who love the Life Editing Process and are always trying to better themselves. Super organized Type A women with analytical personalities who want to focus on what really matters in their lives. Type B ladies who secretly wish they were more Type A. Life Editors who love mapping out their days, weeks, and months well in advance. An Intense Goal Planning System to help you determine what you want to achieve in your business and how to create a step-by-step action plan. 266 Pages of Life Editing Power! Savvy entrepreneurs who want to earn more money through their businesses and are ready to put in the work. Women who want to run their own businesses but don't know where to start. Ladies who are tired of spinning their wheels and not getting any traction. Life Editors who want to be strategic with their time so that everything gets done. Ladies with a knack for managing and tracking the hundreds of items on their massive to-do lists. A 12 Week Calendar with weekly pages for your to-do list, appointments, goals, and life editing work. 92 Pages of Life Editing Power! NEW: Finally available in printed format! Ambitious women who have many shorter projects and deadlines. Life Editors who love the urgency of of quarterly planning so they get more done in less time. Organized women who want to focus on editing their lives with the Life Editing Process every single day. Right here in the USA so you can feel good about your purchase. Beautifully bold with full-color on every page. Printed on glossy professional-grade paper. Strong and sturdy with laminated covers. Spiral bound for easy writing and planning. 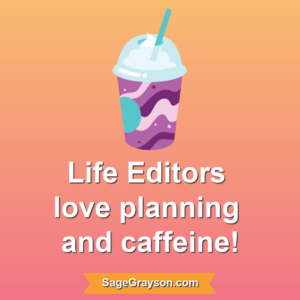 The 2019 Edited Year Planners feature the ALL-NEW "Coffee and Editing" theme. so you can try before you buy! 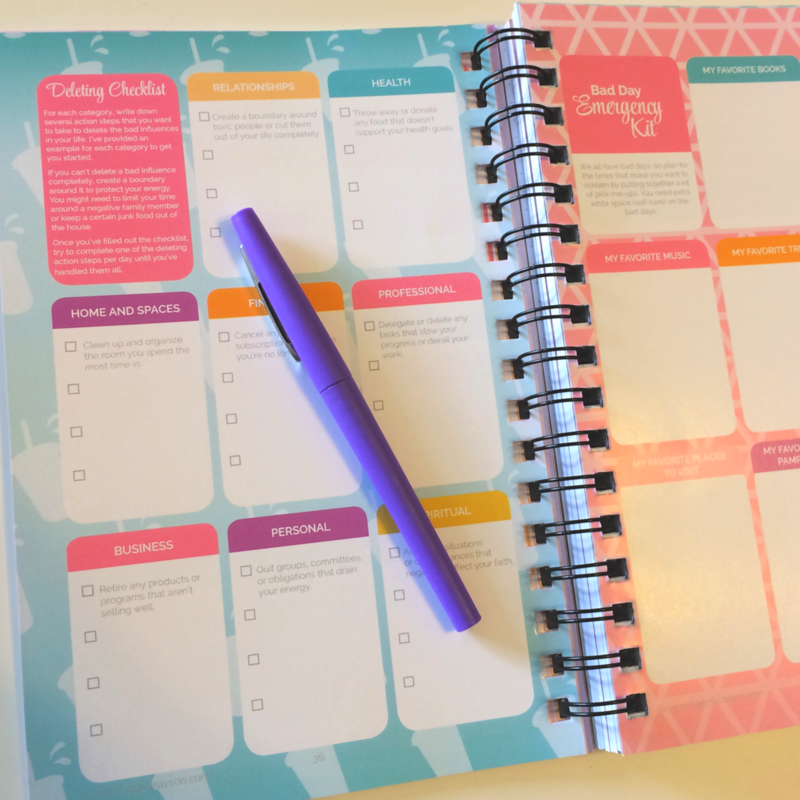 You'll have a beautiful planner (or 3!) to keep you on track. You'll actually want to pull out this planner and dive into it on a daily basis. You'll have a foolproof way to hold all your to-dos, appointments, and goals in one place. You'll make time for daily, weekly, monthly, quarterly, and yearly self-care activities. Mani-pedi, anyone? You'll streamline your routine and adopt systems that can save you hours of time every week. You'll break down all your huge, unmanageable projects into bite-sized tasks to make noticeable progress toward your goals every day. Baby steps all the way! You'll learn a simple, repeatable process to continually edit your life no matter what comes your way in the future. You'll finally keep the promises you make to yourself and others. You'll make time yourself, your family, your career, and everything else that's truly important. You'll earn money through your business doing what you love. You'll craft clear, doable goals for business and life. No more feeling directionless. I'm new to life editing. Will I be able to use these planners? You betcha! 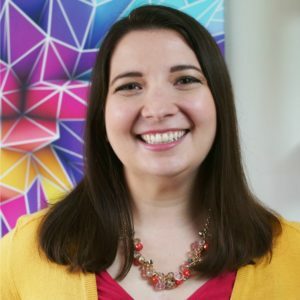 You'll be introduced to my 5-step Life Editing Process, which is the framework I use for all my blog content, videos, products, and coaching services. Little by little, you'll make tiny edits to your daily and weekly routines. Maybe you'll write in a gratitude journal. Maybe you'll limit your contact with toxic people. Maybe you'll take the first step toward starting your own business. The point is you'll edit your year in a way that makes sense to you and works within your current situation. Bloom where you are planted! I prefer planners with daily (or weekly, or monthly) pages. What kind of format do these planners use? You're in luck because the 2019 Edited Year Planners have ALL of those formats! Woo hoo! Use the monthly and yearly planning pages for mapping out your long-term goals. Try the weekly pages for short-term goals. And really dig deep with the daily blocks and dot grid pages when your day is packed with appointments and to-dos. No matter what format you choose, you'll still have space to track your Life Editing Process action steps. So go ahead and schedule that massage! 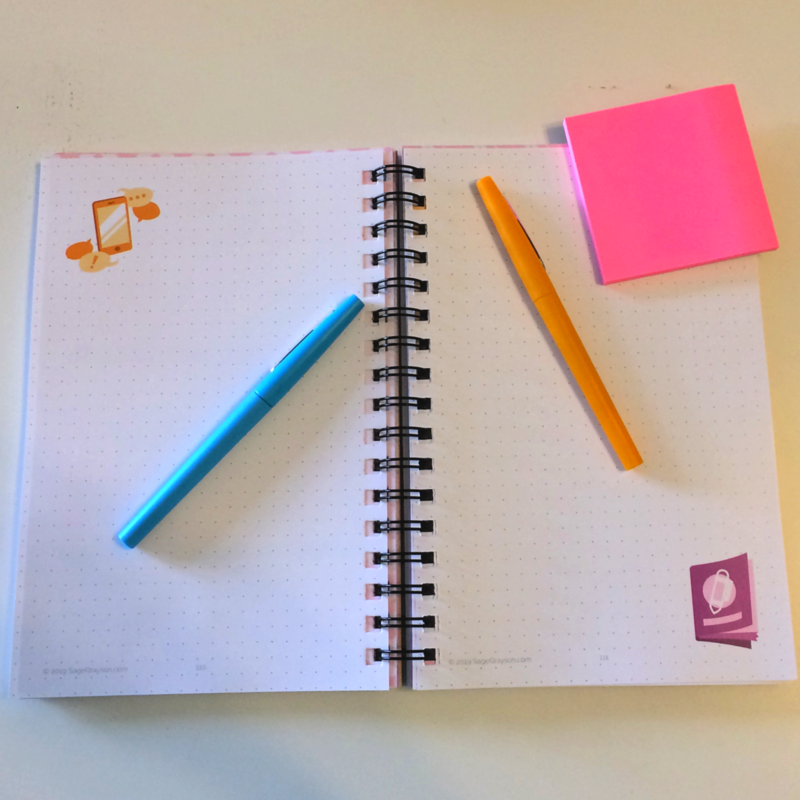 What are the dimensions of the printed and digital planners? The printed planners are 6 x 9 inches, and they're perfect for tucking into your purse so you can stay organized when you've got a million places to be. The digital planners are standard 8.5 x 11 inches, and the files can be easily resized to any dimensions depending on your current planning method and personal style. Take control of your life editing and choose the size that's right for you. 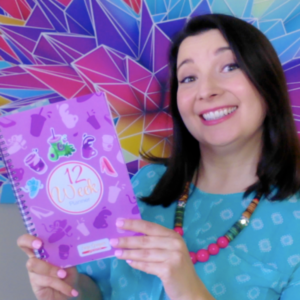 I buy a ton of planners, products, and courses that are supposed to save me time, help me earn more money, and make my feel like a highly productive kickass Superwoman. But I end up ditching them because they leave me feeling uninspired or overwhelmed. What makes these planners different? The 2019 Edited Year Planners are a bit more supercharged than ones you might have used in the past. 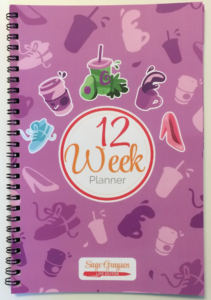 Fair warning: these planners aren't for slackers! You'll work through the Life Editing Process for an entire year so you'll never become complacent about bettering yourself. Life editing keeps happening because your life keeps changing. 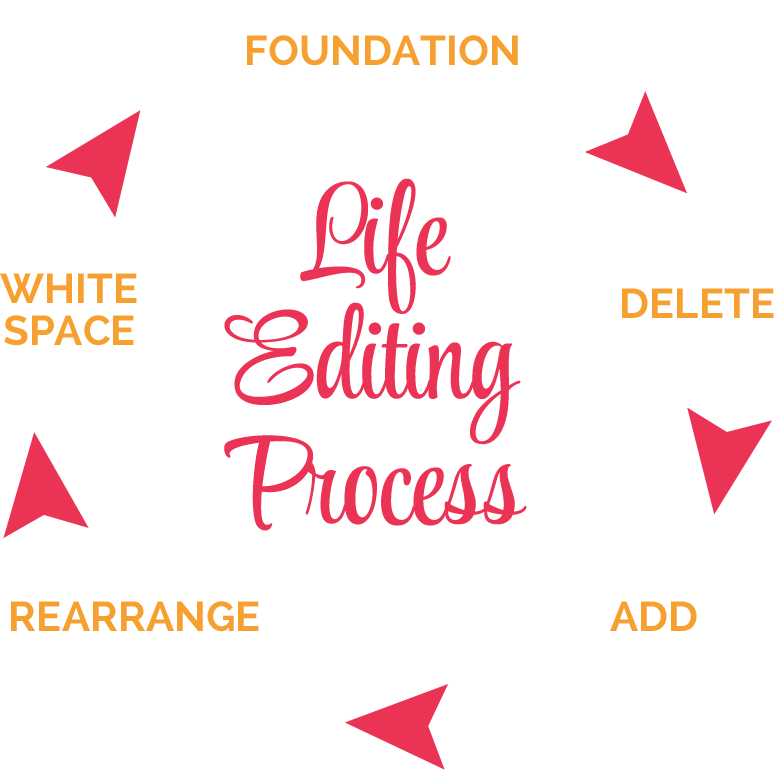 The Life Editing Process helps you stay in control and proactive, and baby steps make it all possible. 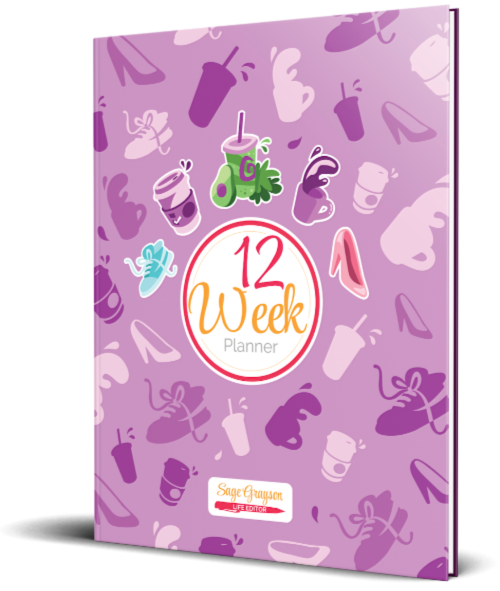 The digital planners are made to be printed out to whatever size works for you. And no offense to your Google Calendar or whatever digital planner you're currently using, but nothing compares to writing by hand. You'll remember what you've written and have a better chance of sticking to your goals than if you only tap them into your phone with your thumbs. So consider grabbing a printed Edited Year Planner too! You'll learn how to break down your ginormous goals into daily, weekly, monthly, quarterly, and yearly action steps. The self-discovery worksheets will help you get at the true intention behind WHY you want something. Goals without purpose are meaningless. But Sage, I already have a planner. That's perfect! 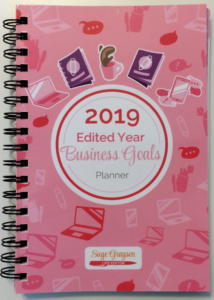 The 2019 Edited Year Planners can be used in conjunction with other planners. There's no need to ditch a method of organization that already works for you . . . but now you can boost your productivity with some life editing! The planners have been gorgeously redesigned for 2019 with full-color, glossy pages. The "Coffee and Editing" theme is a sassy and motivating addition to your planning routine. Who says planning can't be fun? You can also easily resize the digital files or try the printed planners (my suggestion). 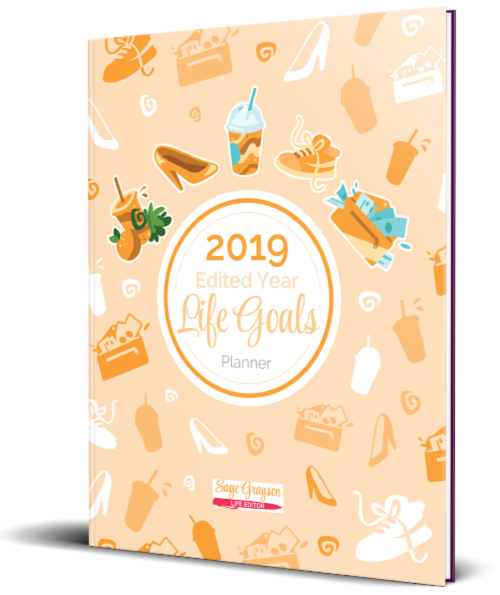 And the 2019 Edited Year Planners coordinate with all my Life Editor worksheets and other products. But let's be honest here, you can never have too many planners. Right? How long does it take to ship the printed planners? The printed versions of the planners will ship within 2-4 weeks of the purchase date. You will receive an email when your order has shipped. I'm unable to predict exactly how long it will take to reach you, especially if you live outside the United States of America. No, I do not offer refunds. PLEASE read the descriptions on this page and on the order form CAREFULLY to make sure you are purchasing the format you want. If you have questions about the planners, please send an email to sage@sagegrayson.com. Well, the planners cost less than your monthly Etsy purchases, so what have you got to lose? 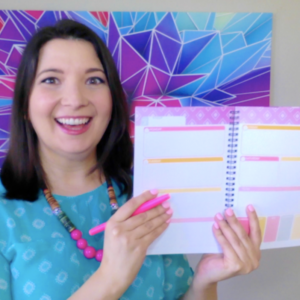 I already mentioned the fabulous benefits you can expect from using the planners, but what goals would you need to achieve for it to be worth it for you? I'm not a magician or Fairy Godmother (darn!) so I can't guarantee specific results. As with most things in life, you get what you put into it. So let's think about that--what kind of effort have you been giving to your dreams lately? How happy are you with the results you got in 2018? Perhaps the better question is "What will happen if I don't make changes now?" Maybe more of the same stressful work days, no time for the people and activities that are important to you, and declining health and well-being. 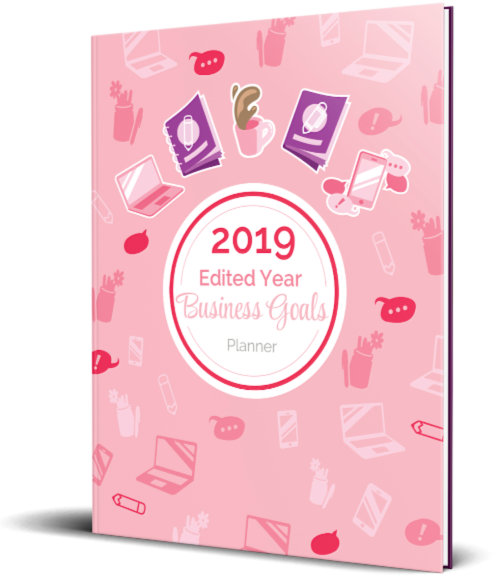 EDIT YOUR LIFE AND BUSINESS IN 2019! Get immediate access to the digital PDFs. You know how you keep saying you'll make changes “when things calm down” or “when I have more money” or “when it's a better time”? It's like you're waiting around for someone to save you or for a magical sign from above to appear. You deserve an edited year full of clarity, purpose, and fun! Small, doable changes on a daily, weekly, monthly, and quarterly basis are the key to help you become the best version of yourself. You can do this. Your edited year is waiting for you. Let's go! 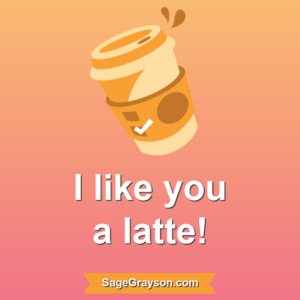 please send an email to sage@sagegrayson.com. 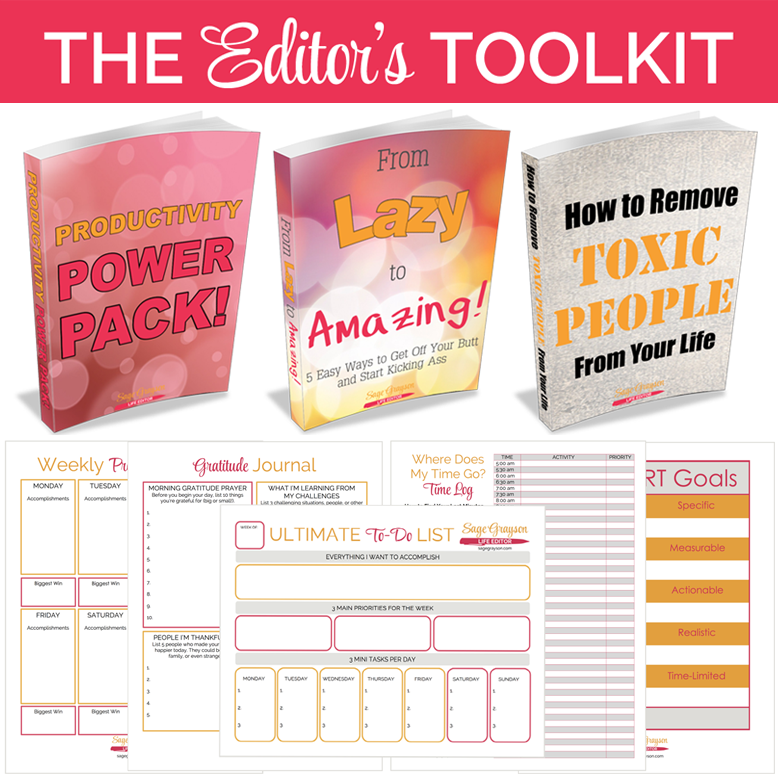 Do you want even more life editing goodies plus extra accountability and support? 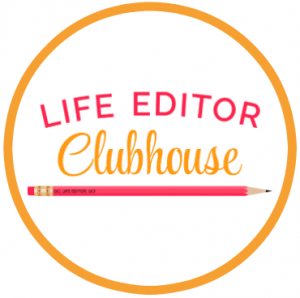 You're invited to join the Life Editor Clubhouse. CLICK HERE for more information and join us today! 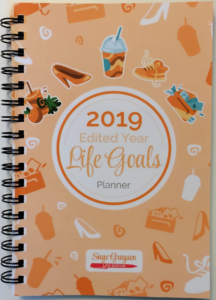 Due to the nature of the Edited Year Planners, the shipping expenses, and the materials housed within the Life Editor Clubhouse membership site, refunds are not offered on these planners. Refunds will not be authorized if you decide you no longer want the planners. It is your responsibility to make an informed decision before you purchase these planners. Please send an email to sage@sagegrayson.com if you have any questions.